The magnetized water purifier is a kind of water purification equipment suitable for household use. 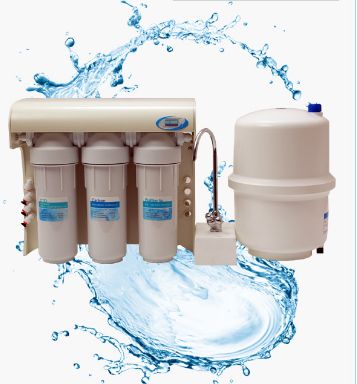 Now many consumers choose this non-toxic and non-polluting water purification equipment when purchasing water purification equipment. Magnetic phenomena are a ubiquitous physical phenomenon. With the development of science and technology, human beings have become more and more aware of the phenomenon of melting, and the research and utilization of magnetic phenomena has become more extensive. Magnetic field water treatment is one of the much special areas. With the increasingly strict environmental protection and the growing shortage of water resources. Magnetic processing technology will receive more and more attention. Magnetic field water treatment is a physical method with non-toxic and non-polluting characteristics, convenient application, low investment and easy shielding. The magnetic processor can integrate anti-scaling, descaling, corrosion inhibition, separation and purification, sterilization and other functions in water treatment. Why is the magnetized water purifier capable of anti-scaling, descaling, corrosion inhibition, separation and purification, sterilization and other functions. As early as 1990, Gan Ansheng and Shi Peng of Xi'an Institute of Metallurgy studied the effect of hardness on the anti-scaling effect of magnetized water. It is generally believed that the magnetic treatment of the water system is mainly to accelerate the crystallization inside the solution. Thereby, the direct crystallization and hard deposition of the salt on the heated surface are greatly reduced. Plays a role in anti-scaling. Studies have shown that the scale inhibition effect of the magnetic field is closely related to the magnetic field strength, the solution supersaturation flow rate and various ions in the solution. With the development of science and technology, magnetic field water treatment technology is a non-toxic, non-polluting water treatment technology. ▲ How does the magnetized water purifier work? The magnetized water purifier is a structure in which a fluid magnetization device magnet is fixedly assembled, and the outer part is a metal shell, and the ends are high-density and fine-machined nuts. Internally, it is mainly a set of magnetically conductive layers that are symmetrically buttable and combined with a magnet block in a computer simulation. They are placed in a mold and coated with soft plastic to make the magnet block and magnetically permeable. The layer is formed in a state of being covered to form a magnetized monomer, and a gap is formed between the magnet block and the magnet block, and the gap is a water passage. This device effectively prevents fouling of the pipeline and eliminates red rust.